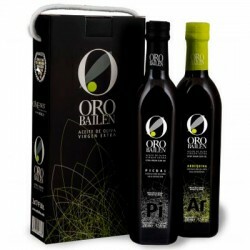 Oro Bailén Arbequina: medium intensity, with a soft and delicate taste on the palate, a very light late bitterness and a little more remarkable presence of spiciness. 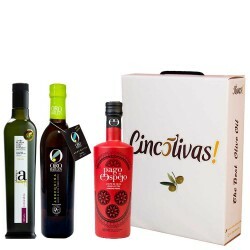 Finca la Torre Ecológico Arbequina has a fruity medium to freshly cut grass and apple, with a sweet entry in mouth and certainly spicy given the characteristics of Arbequina. 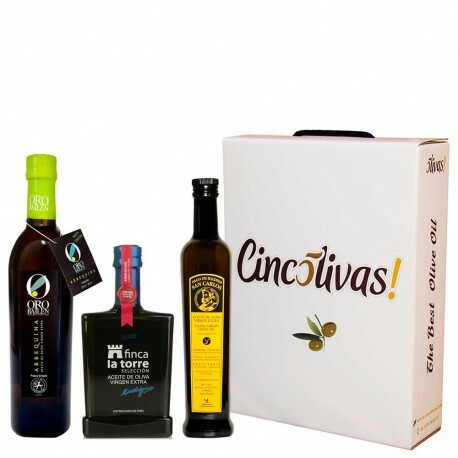 Ideal for mild tastes and those who value the sweetness and non-bitterness of oils. 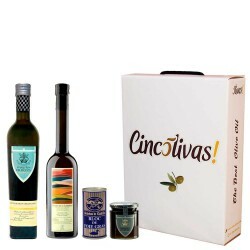 Pago Baldios San Carlos Arbequina is a bright golden oil as they come, and differs by the great fruitiness of its fresh, green and aromatic olives, with notes reminiscent of green apple, fresh grass and unmistakable touch of banana. 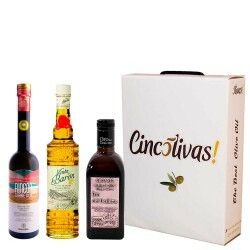 The palate is very sweet, no bitter and slightly spicy, with a long almond aftertaste. 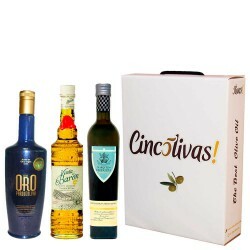 1 bottle Finca la Torre Ecológico Arbequina 500 ml. 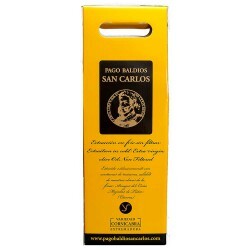 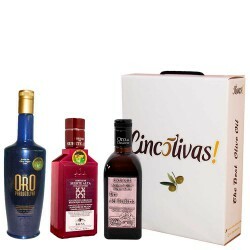 1 bottle Pago Baldios San Carlos Arbequina 500 ml.